I hope these Q and As help you to get a picture of what to expect from private speech and language therapy. Please don't hesitate to contact me if you have any other enquiries. Speech and Language Therapists are trained to assess and treat communication difficulties affecting a wide range of people from newborn to old age. SLTs in the UK are required by law to be registered members of the Health and Care Professionals Council (HCPC). You should check whether your SLT is registered. SLTs can also registered with the Royal College of Speech and Language Therapists (RCSLT), which is the professional body for SLTs in the UK, and the Association of Speech and Language Therapists (ASLTIP), which is the officially recognised body for private SLTs. Being a member of RCSLT means that a SLT has been awarded a license to practice following successful completion of a recognised university qualification. As members, SLTs are committed to developing their clinical skills and expertise through continuing professional development therefore maintaining a high standard of clinical practice. How do I find out about normal speech and language development? Afasic.org.uk - This is the Association For All Speech Impaired Children. ican.org.uk - This is the national charity for children with speech and language difficulties. ..and here is a progress checker for language development. How much does private SLT cost? Please contact me to discuss fees. Paying for Speech and Language Therapy is a big commitment for parents/ carers, especially if your child/spouse/parent needs many sessions over a long period. Everybody has a unique set of problems and their own personality, learning style and level of motivation. 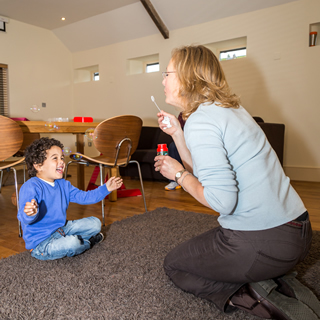 Each Speech and Language Therapy programme is specifically designed with these factors in mind. This takes many hours of planning and preparation of therapy materials including printed work programmes. Payment for preparation time and materials is built into the fee. I offer payment options on a case-by-case basis. Otherwise, I accept cash, cheques, or (my preferred method of payment) electronic transfer. Details will be provided when we meet. Will the SLT liaise with other professionals? Yes, at your request and with your permission. This is an important part of our job, communicating! How do I get a referral to LSLC? GP referral is not required, you can just contact me yourself and we will take it from there. Can I claim through my private medical insurance company? The answer is, it depends! Please contact your insurance company to discuss you level of cover. We can then discuss payment methods. Can I have both private and NHS speech therapy at the same time? Yes. With your permission, we can liaise and make sure our programmes complement and dovetail with each other, serving your/your child’s best interests. When is the right age to start speech and language therapy? It is never too soon to bring your child for an assessment. If you have doubts and concerns about your child's development, please get in touch. Maybe I can reassure you that everything is OK, maybe I can give you some suggestions and monitor/advise periodically. With a very young child, I would play, observe, and work with you, the parents. Early intervention is essential to support you to help your child.